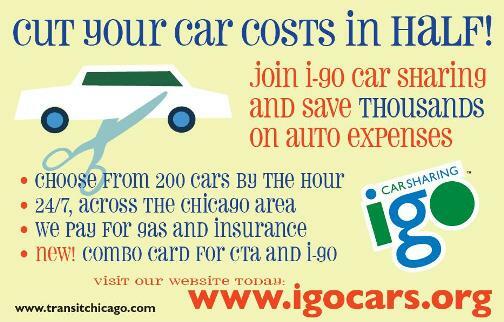 I-GO is offering its own admittedly small-scale economic stimulus package this week: a sweet discount on membership sign-up. We can’t pay your mortgage or cut your taxes, but car sharing can help balance your budget by drastically reducing (in some cases, by thousands of dollars) the expenses that come with owning a car. Ladies and gentlemen, start your budget-cutting engines. You are currently browsing the archives for the auto sales chicago category.